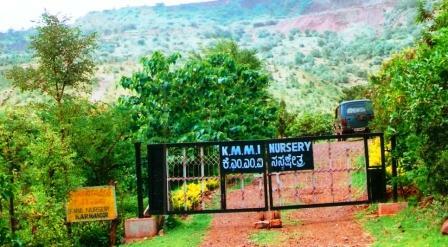 Our Mines is certified by ISO 14001 2004 for maintaining the quality environmental standards. The management of our mines very strongly believes in the cause of the environment, and therefore, we ensure that all our activities are conductive to conserving our environment. We have undertaken myriad environmental protective measures. Some of them are as follows. Gully Plugging: Gully plugging helps in soil and water conservation. In our mines well maintained gully plugs create a fertile and moist surface, which are organically rich. By planting various nutrient rich trees and plants on the surface we attempt to give back more to the environment than we take. Retaining Walls: Retaining walls used to bind the soils between two different elevations, this walls helps in resisting the lateral pressure of soil. We are constructing the retaining walls at number of appropriate sites in our mines. Check Dams: By building adequate number of check dams in our mining lease areas, we have been able to lower the flow of water during heavy rains and storms: also they keep check on soil erosion. Rain Water Harvesting : We have undertaken all the possible measures of rain water harvesting in all our mining lease areas, to ensure sufficient supply of water, during water scarcity/ summer seasons. By careful utilization of natural rain water resource, we reduce water run – off. Afforestation: In order to increase the forest cover and carbon capture, we have planted a wide variety of trees all around our mining sites. This has also improved the biodiversity of those particular regions. Dust Management: We proactively take all the possible measures to reduce to prevent production, accumulation and propagation of dust by effective use of various dust suppression methods like using – sharp bits, a continuous jet of water at the cutting edge and adequate pressure of air during drilling, sprinklers, water jets, water tankers, wet tarpaulins etc., during blasting, handling and transport of broken ore ans waste rock. As far as practicable we reduce the emission of the dust from the source itself. Use of Geo textiles: We use Geo textile fabrics to prevent soil erosion and water pollution. These permeable fabrics enable separation, filtering and draining. Modern Technology: At all our mining sites we use sophisticated and modern technology to reduce the environment pollution by using sharp cutting edge machinery and other equipment’s to negate the effects of pollution, we strive to be environmental conscious at all the times.